This is one we were super proud to bring to you all. This is an amazing organization that is making a difference and personally has changed my life and perspective profoundly. Thanks to Natrina, well…for being Natrina and to Aly for sharing so openly with us – your both amazing! Join Natrina Gandana, TLM’s Program Manager and Aly Tamboura, a recently returned citizen and graduate, to learn about their amazing work and the newly launched joint venture program. 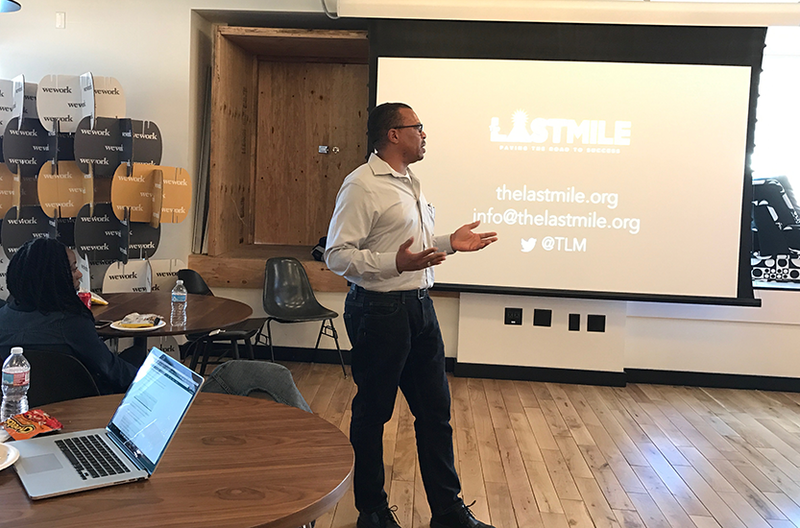 See how you can support their work and/or work with the talented TLM Works team on your next project. The Elements Meetup features a series of events, workshops and speakers focused on work, life and doing good for others (plus, the art of balancing it all), join the Meetup or sign up to get notification of our events.